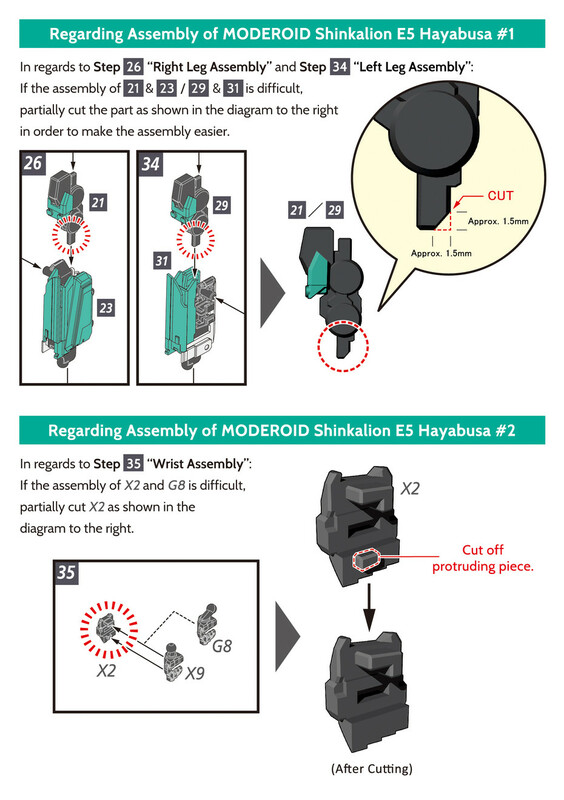 This notice is to provide extra guidance in assembling Good Smile Company's MODEROID Shinkalion E5 Hayabusa. In the case that Step 26, Step 34 "Leg Assembly" and Step 35 "Wrist Assembly" are difficult, please refer to the following instructions. If you have any questions about this notice, please contact Good Smile Company Customer Support.